Veterans. Families. Protesters. Refugees. The Vietnam War left an indelible mark on millions of people. You have a story to tell. You can share right here on this website by using the form below. The Story Wall is a part of MINNESOTA REMEMBERS VIETNAM, a statewide initiative aimed at inspiring Minnesotans to remember and share stories, recognize bravery, express their reasons for dissent, and foster understanding around the lasting impact of war. Consider the question: How has Vietnam impacted your life? Describe how you felt – not just the facts. Share personal anecdotes and perceptions in a conversational tone. And weave in the specific details about an experience, person, place, or thing – that way, you allow others to better imagine your story. We’re looking for concise, personal stories that effectively highlight a meaningful experience that made a lasting impact on you during or after the Vietnam War. If you’re sharing video or audio, please try to keep it to around 3 to 5 minutes in length. Enhance your story by adding a variety of media, including video, photos, or audio. Get creative. Letters, maps, sketches, journal pages, documents, and photos of mementos from the Vietnam War era are also great storytelling tools. The best stories will include high-resolution images. Audio and video recordings should be created in a quiet environment, free of background noises and distractions. This is a safe space for everyone to share, honor, and reflect. Please familiarize yourself with our Submission Terms and Conditions, which you must agree to before submitting your story to us. We reserve the right to exclude stories that violate our policies and that don’t fit the tone of our collection. What if I want to edit my story? Use the unique URL that you receive via email after you submit a story to edit it. First name, last name, and email address will not be shared publicly. Need inspiration? Not sure where to start? Read our Story Guide above. Enhance the impact of your story by adding at least one photo. We will prioritize adding stories that include visual media. If you need help with media, please contact us. Please note: stories will be posted as received. Please proofread your story before submitting. Drag and drop files here, or click to upload files. You can upload audio, video, document or image files. Need help? Have a bigger file? Please contact us. Which one best describes the point of view of the story you are submitting? Allow comments on my story. Add me to your list to receive email updates about this project. I have read & agree to the Story Submission Terms & Conditions. Once submitted, your story will be sent to our team to publish. You will receive an email with a link to your story when it has been posted. We usually post stories within a week of receiving them. Please complete the required fields above and re-submit. Please allow your uploads to finish before submitting. We've detected a problem while trying to save your story. Please verify that you are connected to the internet. You attempted to upload an invalid file type or a file that is too large. An image must be less than 10MB and have one of the following extensions: .png, .jpg, .jpeg, .tiff, .tif or .gif. An audio or video file must be less than 100MB and have one of the following extensions: .mov, .mp4, .mp3, or .wav. A document must be less than 100 MB and have one of the following extensions: .doc, .docx, or .pdf. 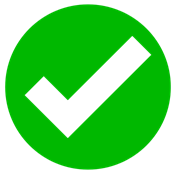 Your story has successfully been submitted! You will receive a confirmation email with additional details. by sharing this project with your family & friends!